The eternal question that puzzled many a dog lovers ― does your dog understand words? has just been answered with scientific evidence. Your dog not only understands the words you speak, but also interprets how you say them! Dogs understand more than humans have traditionally given them credit for, according to a new study by researchers at Eötvös Loránd University in Hungary, published in the journal Science. 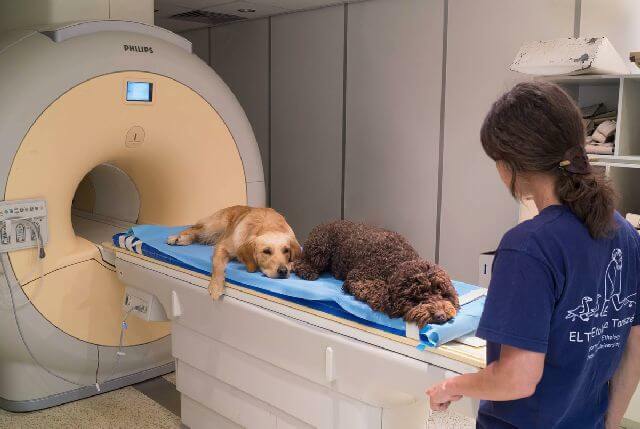 Researchers recruited 13 family dogs living with their human owners, and trained them to sit in an fMRI scanner — a device that measures brain activity — while awake. 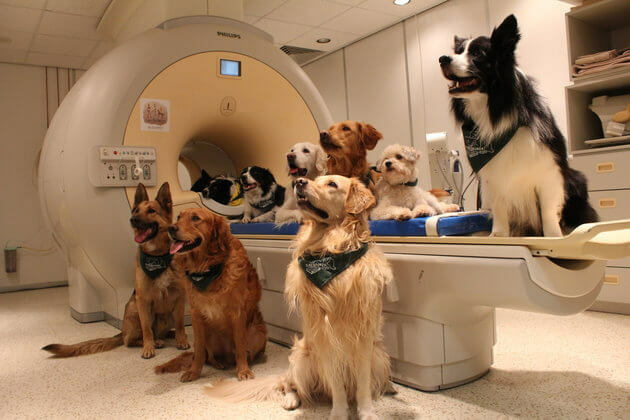 The dogs were never restrained inside the scanner and were free to leave if they chose. Inside the scanner, the researchers played a trainer’s voice saying certain phrases with varying types of intonation. 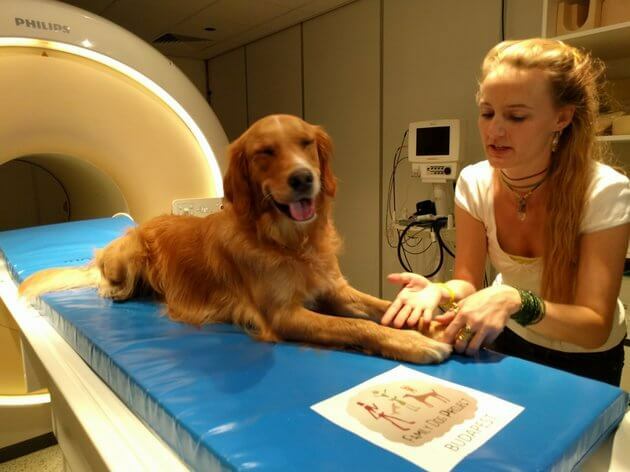 The dogs’ brains process language in a similar way to humans, with the right side dealing with emotion and the left processing meaning. The positive words spoken in a positive tone prompted the strongest activity in the brain’s reward centers. The study proves that Dogs know the difference between genuine praise and meaningless words. This is the first major finding using noninvasive neuroscience with awake animals — usually, they have to be drugged or restrained. Posted on August 31, 2016 October 15, 2018 Author Abhishek JoshiCategories Hail the hound! Previous Previous post: Beginners Movie Review – the dog knows what love is! Next Next post: 9 Dog Lovers who did awesome Things for their Dogs!